I’m here with Ethan May and we are always trying to find ways to add value to job seekers and employers we work with both regularly and we want to always try to make their game better in any way that we can. So that’s the entire purpose of this, uh, of this podcast. And today what we’re talking about is why only 2% of applicants actually get interviews. And we’re talking about why only 2% of applicants who apply and it makes you feel like you’re in a big dark black hole of sending your resume to it. Why is it that only 2% actually get interviews? We hear from people all the time about how they hate the system and the it makes them concerned. And so we’re going to address some of these issues today. Um, you can see all of our new content on our website. All you have to do is go to Trinity employment.com and if you click on the career center, the drop down menu, you’ll see our podcast and we have like 30 podcasts, Ethan now. Yeah, and so I’m really excited about that, but we want to also ask that you invite your, your friends that might be interested in this content, especially if you feel like that this helps you today, this content about the 2% of applicants and get interviews. We think that it’s very important because we know what people are experiencing because we interview people every day. You’re interviewing people every day. I’m sure you hear stories about this. Ethan’s going to have some stories about it. I’m coming up and so we would just ask that you share this and let people know about our podcast, but let’s go ahead and get started with this. What are some statistics about applying as it relates to this topic today, Ethan? Yeah, I mean we’ve talked about that stat in particular that the topic of today, a lot of times that only 2% of applicants actually get interviews and a, and that’s a really small number and it makes you feel really insecure. But one thing that a lot of hiring managers interviewed by Work Opolis said is that one of like it’s a, it’s hard to meet the bullseye of what they need. 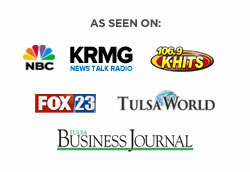 Staffing agency Tulsa, but one thing that really stood out to me is that they said, okay, Workopolis interviewed or surveyed 1500 recruiters and hiring managers and the, they said that applying for jobs that you’re unqualified for can hurt your chances of future positions with the company as well. I mean, they’re saying that up to 43% of hiring managers and recruiters would, you know, quote unquote black lists those candidates from any other jobs as well. Essentially saying if this person keeps applying for jobs that they’re super not qualified for, if I see their name pop up in the future, I’m not even going to look at it. Even if they might be super qualified for the job. I like, I’ve been frustrated by them before cause they’re wasting my time. They just hit apply, apply, apply to every job we have. And so you’re missing out on things that could potentially be a really good fit for you if you’re just, you know, shooting your resume out for every single job opening, we’ll, I’ll bet you, you see these people applying all the time. You see the regulars because I know that, I know that our other recruiters, they’ve talked about this over and over again and they’re like, yeah, it’s the same people applying over and over and over again. And you know, back in my days when I was recruiting, it’s funny that I would see the same people for years. Yeah. Applying to this and, and I don’t know how many jobs they had in between, but the resume never changed. And I always thought I was like, well, it’s probably one of those people that they’re trying to get unemployment and so they have to, you have to apply for jobs. So, you know, and they never call them back. They never called back to the employer or something like that. But I’ll tell you what, you know what’s, what’s interesting is the Internet really made it a long time ago. Easy for people to search out and apply for many job opportunities. I’ll tell you a funny story. I remember in college when they had a hiring system for Oklahoma state university. Did they have the Internet when you were in college back in the like, oh boy. Oh Man. You know what’s funny is it just came out, remember? Do you remember at all Napster, do you know anything about this? Yeah, I do. I’m going to say young, but I remember that. Yeah man, that was just starting out. So we were in that, in that time when I was in college, we were downloading as fast as we can to get as much cream is awesome dude. Yeah, it was. It was crazy, but it was really slow. You know, all these websites just came out, you know, and things just started getting, you know, universities just started getting web happy. But I remember this because on, okay, state.edu, they had a system where you could go and apply for jobs. All right? So you would upload one resume and then you would click like a 45 job. I apply, I applied. I was like, oh my gosh, this is great. You know, and then it was followed up with monster and you’re like, oh man. Well I gotta do is upload my resume. And it makes it easy. So, so the Internet back then made it very easy. I mean, what was so crazy is it was so new. Very few people used it. And so I got like five job offers in three days. Dang. Yeah, it was great. But what happened was, is everyone started using it. Sure. No one could keep up with the flood of resumes that were coming in. And so a lot of really great candidates got looked over. And so, you know, employers to rain on your parade of statistics. I’ve got one here. Okay. Yeah. Employers, uh, told this, uh, uh, what, what was the, what was the group that, yeah. Workopolis Staffing agency Tulsa, that sometimes they have as many as 75% of applicants for a given role who aren’t even qualified to do the job. And that’s exactly what I did back in. I applied for everything. I didn’t even look, if I was qualified, I didn’t care. The job title sounded good. I think I can do it. Hey, why not shoot for the stars and apply for some director position as that, you know, they probably looked at me like, well he’s, he’s courageous. No, and that’s true. I can agree with that stat. As a recruiter, I see so many applicants, so many that aren’t even close to qualified for the job that we’re looking for. Staffing agency Tulsa, but what’s difficult as well is, and I’ve had people tell me when they called the follow up, they say, you know, hey listen, I didn’t get called for the job, you know, and I said, well, you know, it looks like you don’t quite have the qualifications they’re looking for. And they say, you know, how can you tell that about me just on a piece of paper? You know, like why can’t I at least get an interview and you can meet me and see that I can do the job? Um, and while that is kind of a fair point, it’s hard to judge a book by its cover when it comes to your resume. That’s literally the point of it, is for people to be able to see what, what can this person do without meeting them at first. But listen, dude, you are in a situation where you’re right in the middle of the trees. I what you’re getting is you’re getting frustrations sure. About this system that we’re talking about now they’re dumping their frustration on you. Unjustifiably and most likely you’re right. Like I get that, but that’s what you’re getting. In fact, we’re going to be doing three series on this and we’re starting with this one and then we’re going to be moving this next one. This next podcast is going to be a new report that shows how terrible the fortune 500 companies do with job seekers and the candidate experience. And, and Google in fact is getting, they are just now putting together a platform that would be much more candidate friendly, um, and forcing employers to be a candidate friendly. So this is going to be a nutrient in, in the hiring and with all recruiters, everyone’s going to be dealing with this. The candidates are going to be super happy. Yeah. And I think you’re gonna see a lot less frustration with this. But I noticed that too. It started, Staffing agency Tulsa, when I stopped recruiting and uh, as much and I started noticing that people were starting to fuel some of their frustrations out on me because they were tired of not getting called back. Sure. And, and making that transition to a lot of internet based applications. I mean, I remember when I was in high school, I went to go apply at McAlister’s Deli. Um, you know, just to, you know, get a part time job in high school. And after a few days after I dropped off my application, I haven’t heard back from him. So I just stopped back by and I was like, Hey, just, you know, dropped off my application couple days ago. I was wondering, you know, if there’s anything else I do for the application process. And the manager came out and interviewed me and then offered me the job. And after I started there he had said, yeah, I mean your resume was just like in a stack of others. If you hadn’t come back and you probably wouldn’t have gotten the job. And it’s tough now in such an internet heavy, you know, application hiring process. People can’t do that as much. People can’t just drop it back in and say, Hey, you know, here’s my face again. Yeah. But you can do different things like sending, uh, sending an email, linking with them on linkedin. You can call in just to ask, have you read, I just wanted to make certain that you were able to receive my materials. If you had any questions, I’d be happy to answer any of those questions for you. Um, you can begin to connect with different office managers within that group or different employees within that particular company. And if you make friends with one of them, maybe they can help get your resume pulled to the top. I know that that used to happen with me all the time when I was a corporate recruiter. And so, Staffing agency Tulsa, there are a lot of things that you can do, but that mimic the same thing that you did at McAlister’s because listen, it’s a very simple thing, very simple thought, but, uh, sometimes keeping it simple stupid is, is, is helpful and tough. Yeah. Yeah. So, um, do you have any other statistics or anything? No, I think we touched down on him. Good. And, um, you stole that one that I was going to say about 75% of Africans aren’t qualified. You like God did that. You’re not better about toy. Now let’s in a production items, um, let’s jump into the action items. Oh, you just said that I did. Yeah. Yeah. You don’t even listen to what I say. Well, you have to say something interesting, Ethan, and then we’ll, you know, let’s, let’s jump into it. Like Ethan said. Let’s do it. Yeah. Um, the first thing you can do is explain how you stand out on the job. You know, employers want to hire someone who’s going to make their lives easier. And so any at any point that the application process gives you to tell anything about yourself, take full. Um, uh, what am I, what’s the advantage? Thank you. Take full advantage of this and really think it out. Think about what makes you stand out and spend some time on it. I would encourage you to spend some time before you even get into the application process. Some, some of these things are timed and have, Staffing agency Tulsa, have this written out and have it written out well on what makes you stand out. What do you, do you have any advice on that? I mean, that’s super true. The whole point of this podcast is to try and help those, looking for a job to get into that 2% that get called for interviews and that in and of itself, what an incredible, you know, um, minority that get called. But again, I can’t remember who it is. I’m, there’ve been tons of people that say, but the, the majority of people that are successful are the minority and how hard they work to get it. You know, and I, that’s not even a quote that I just said. I, that’s me. You can quote me on that. I took that for about a hundred other people though. I got it. I got a good one. Yeah, I’ve got a good one. Sure. The harder you work, the luckier you get. That’s true. Yeah. It’s very true. I learned it a long time. Exactly. So just putting in that effort that will help you because in that you are in the minority of working that hard and you’ll get into the minority of those people that didn’t get called. Yeah. I tell people that if you’re going to be unemployed, become the very best unemployed person. Anyone has ever seen. And you can do that by doing some of these things. The second thing is applied to the job that you’re applying to. And that’s a grammatically interesting sentence. I know that, but it’s true. It goes back to what, uh, what we had talked about earlier about people, about you not just using one generic application or one generic resume to apply for numerous jobs. Staffing agency Tulsa, if you’re going to be, if only 2% are getting called in, it’s likely going to be the 2% that are more catered to that job. And so I actually get this question asked all the time. It’s like, should I have an ex, uh, another resume? And I was like, I think you should have about 10 or cater it, you know, to what it is that you’re going after. If you have two different areas that you’re wanting to go into, you should have to like industry specific resumes for that and then cater each one of them. And what I mean by cater it is that if you take the bullet points that you have on your resume and let’s say that job in the job description mentions one of those bullet points, we’ll make sure that that one is at the very top because the likelihood of people reading through everything, it’s, it’s just not, it’s not common. Uh, in, in, uh, for a recruiter. I remember a guy that was teaching me when I was trying to set up my book is, his name is Clifton Taulbert. He told me, he said, listen, no one is going to read your book all the way through maybe one or two people, but they’re going to read the first little bit of it. Same thing with the, with the recruiters, they’re going to read the first little bit, make sure the things that stand out the most in that job description are at the top, not the bottom, the top of your resume. Definitely. Yeah. And catering it, again, like we said, does not mean you’re just making up a new resume. You know, and I doubt that we have really many listeners if at all that would do that. But Staffing agency Tulsa, it’s not making things up. It’s just phrasing things, highlighting roles, highlighting skills and responsibilities that would more directly line up with that job. Just adjust it, drag moving around, get it, get it to where it’s k like, um, last thing that we have here is only apply for jobs that you actually qualify for it. And that goes back to my college story. We’re applying for everything. Really what happened was this particular reason, this particular top thing that I mentioned here is the exact reason why we all are experiencing this problem. And that is everyone’s applying for everything that they can because the application process is so easy and so only apply for jobs that you actually qualify for. It will really save you a lot of time and frustration if you’re frustrated with the blink, the big dark black hole process. Um, but when you try to go into these big companies, especially, you’re going to have to do something like what Ethan had mentioned earlier with um, with his McAllister’s experience. You’ve got to do something to make you stand out and bring your resume up to the very top and that’s what we want to help you do is get that resume noticed or get your application noticed. If Trinity can help you in any way, we would really love to be able to have the opportunity to do that. You can give us a call at (918) 622-2588 or you can visit us online and this is where our podcast is, is held@trinityemployment.com.